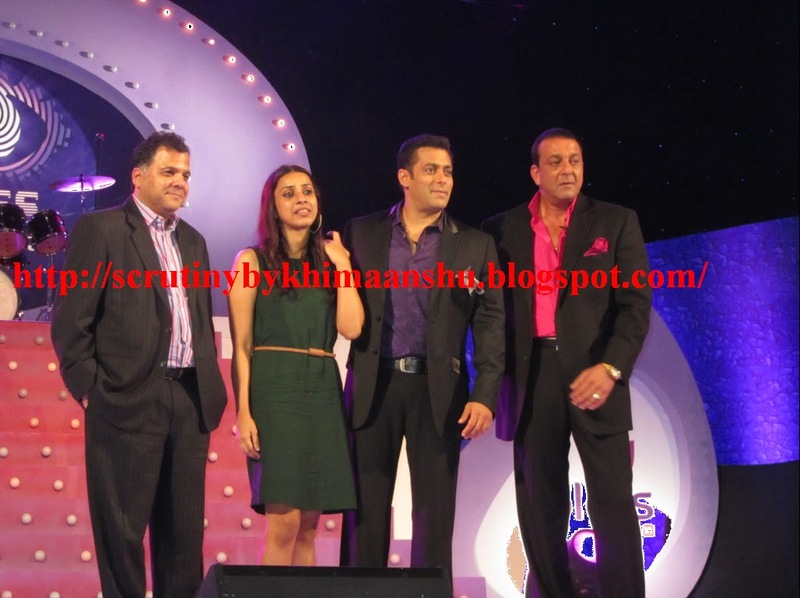 Scrutiny: Bigg Boss 5 Press Conference..! Yesterday there was a pleasurable press meet of Bigg Boss Season 5 at Mehboob Studio in Bandra. 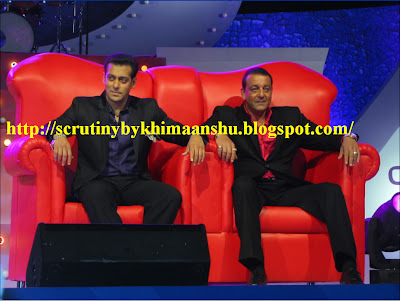 Salman Khan and Sanjay Dutt were at their playful best on stage. 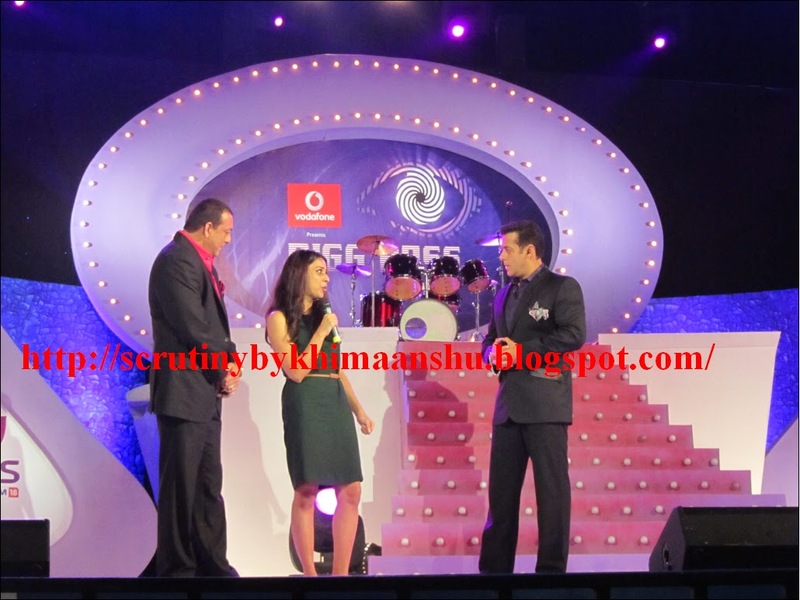 It started off late but the media greeted Salman and Sanjay with a roaring applause once they took centre stage and started their monkeyshines. 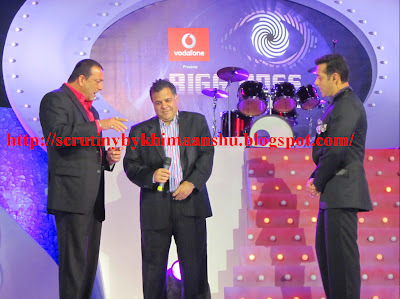 There were many more hilarious moments during the conference; the one that really stood out was when Sanjay asked Salman for how many crores would he consider going inside theBigg Boss house. 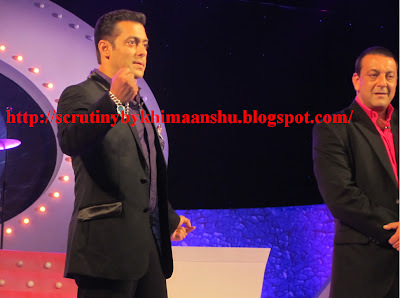 Salman in his casual way quipped, “Hum dono to free mein bandh ho jaate hain” Both of them laughed at their own jokes, which made a mockery of their own lives more than anyone elses. 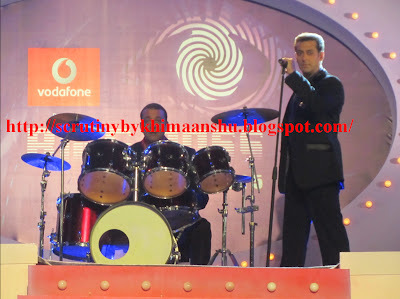 The bonding between Sanjay-Salman is extremely entertaining. Sanjay asked who should be put in the house – Mike Tyson or Shakira – and everyone said both, to which he said, “Itna budget nahi hai bhai”. It is a noticeable hint that either of the two international stars could be on the show. Salman was operated in the US for nerve disorder & after the post-operative session, he soon joined the cast and crew of ‘Ek Tha Tiger’ in Dublin. Despite of not being well he kept his commitment to the Colors channel and was be present at the launch of Bigg Boss 5. Sanjay asked Salman the question about his health. “My surgery went well and I was a 100% ok now, even though its 30-40% healed. I was stooting in Durbin for my film Ek Tha Tiger, the cold there messed it up a bit and it hurts to even laugh loudly right now, but with all the prayers, love and support from everyone, I am going to be 100% fine very soon. 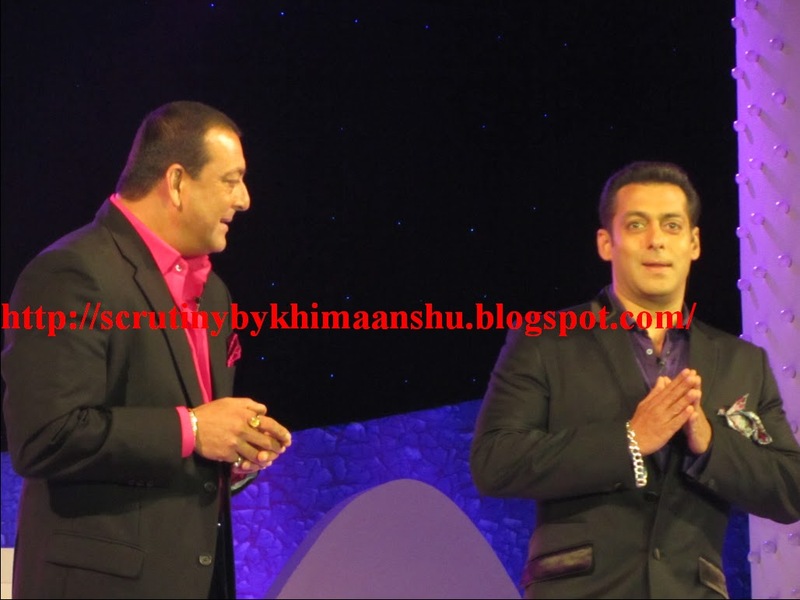 I will go back in 3-4 months for another checkup and then, I’ll be back in full form” quipped Salman. Looking at Salman, one would not guess the man just went through a major illness. 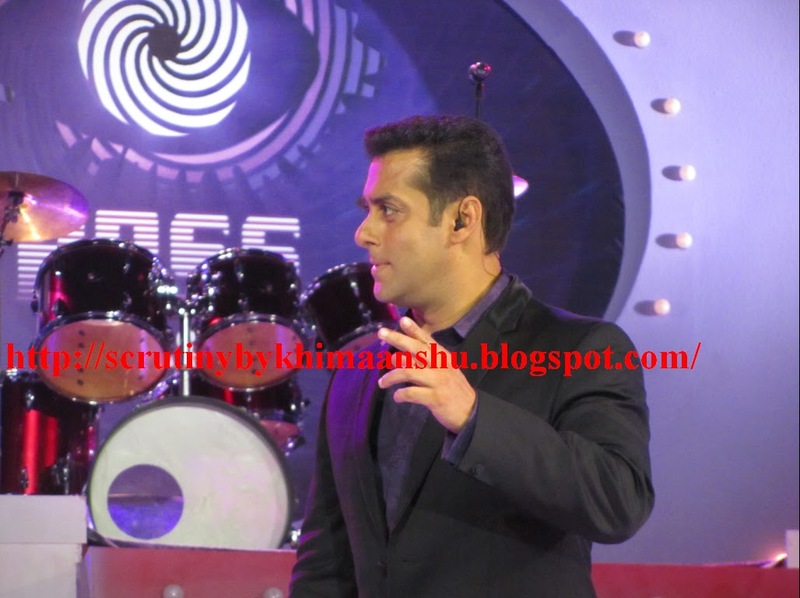 He charmed everyone present at the Bigg Boss 5 press meet. When asked whom Salman wants to be in Bigg Boss house this season, he said he wants to put filmmaker David Dhawan because he cannot desist from food inside the house. He said he fears for his health and cares too much about him to let him continue binging. 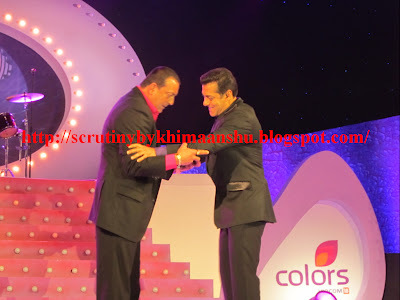 Salman said to Sanjay, “You are four years older than me and I’m Bhai and you’re Baba. How did you manage this Baba? You started calling me Bhai jaan and now I am jagat bhaijaan”. Raj Nayak and Ashwini Yardi (CEO and Programming Head of Colors respectively) were also present there. 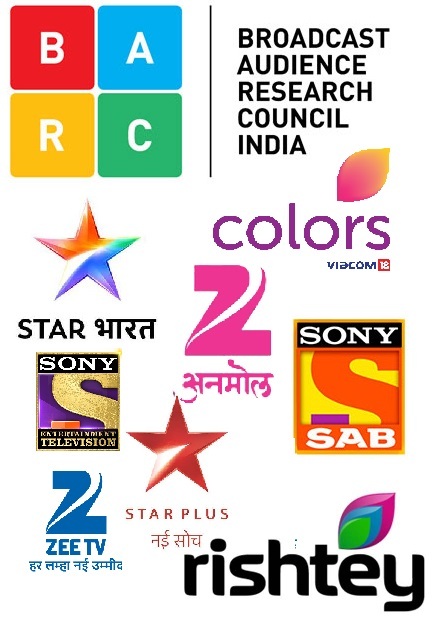 Official list of participants are not yet revealed, the first episode will be aired from 2 October on Colors. I am pretty sure that this easy companionship between the two hosts is sure to double the ratings of the show.